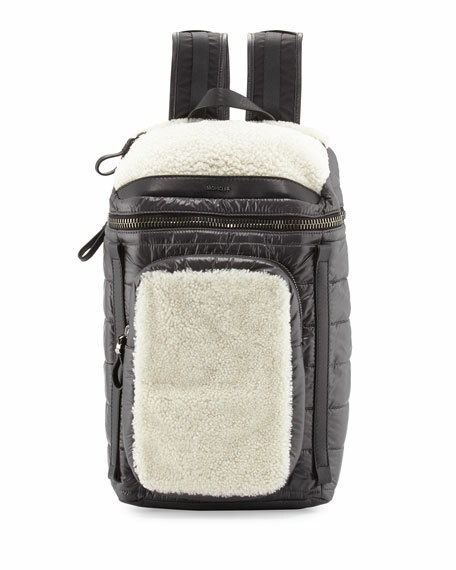 Moncler quilted nylon backpack with leather trim and dyed sheep shearling (Spain) accents. Flat leather top handle, 2.5" drop. 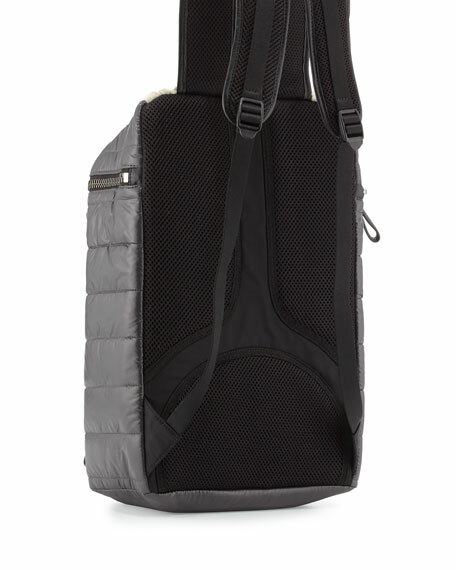 Padded, adjustable shoulder straps, 13" drop. 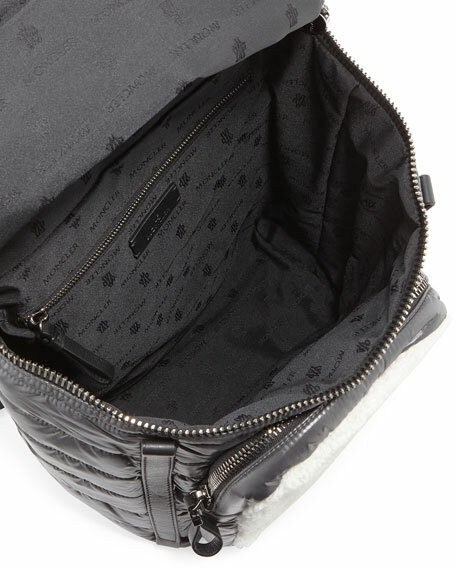 Inside, logo jacquard lining; zip pocket. 17"H x 10"W x 7"D.
For in-store inquiries, use sku #1832892.